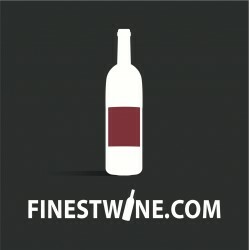 Find all the most finest Rhone wines on FINESTWINE.COM. Easy search and purchase, buy a fine wine has never been easier Feel free to use the filters in order to refine your search results. Top Domaines There are 423 products. Located in Courthezon in the Provence-Alpes-Cotes d'Azur region, Chateau de Beaucastel is a wine growing domaine in the hands of the Perrin family. Its vineyard extends over 100 hectares around the castle : 3/4 in the French AOC Chateauneuf-du-Pape and 1/4 in AOC Cotes-du-Rhone. Respectful of its soil and the environment since a long time ago, the domaine runs its vineyard with biodynamic growing since 1974. The 13 wine grape varieties bring a incredible complexity, elegance and depth to its wines. Located in Tain l'Hermitage in the Rhone Valley, the domaine of ​​Jean-Louis Chave belongs to the same family since five centuries. Probably one of the most legendary vineyard in the Rhone Valley, it produces wine among world's most wanted. Its 17 hectares of vines are divided into small plots that receive the greatest care. 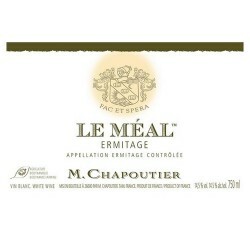 Gérard Chave and his son Jean-Louis has once been considered "best winemakers in the world" by Robert Parker himself. Located in Chateauneuf-du-Pape, the domaine of Clos des Papes is composed of the best parcels of AOC Châteauneuf-du-Pape and extends over 32 hectares. Avril family produces great quality wines with an exceptional consistency. Its 2005 vintage was voted best wine in the world in the ranking of the top 100 wines by Wine Spectator. Other vintages have also ended several times in the top 10 throughout recent years. Engaged in traditional and environmentally friendly vine growing, the domaine benefits from French organic label since 2008. Located Ampuis in the Rhone-Alpes region, Domaine Jean-Michel Gerin extends over 12 hectares. The Mediterranean and continental climate gives its wines powerful tannins while maintaining a silky character. Syrah grape is often blended with the Veognier to bring more delicacy. The Domaine Etienne Guigal was founded in 1946 by the man of the same name. It is a famous wine maker and merchant house located in Ampuis in the Rhone-Alpes region. Its vineyard extends over 60 hectares. 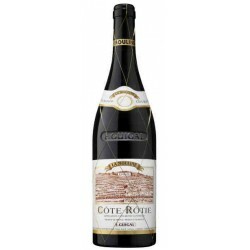 The estate produces world-renowned wines that reach sometimes record prices such as Cote-Rotie 2003. Founded in 1834, Domaine Paul Jaboulet Aîné is a wine producer and merchant located in Tain l'Hermitage, Rhone Valley. Owner of a vineyard of a hundred hectares in several appellations, including Hermitage, Chateauneuf-du-Pape and Condrieu, the Jaboulet family has been producing world-renowned wines. The Domaine practices a reasoned vine growing and limits the use of herbicides while promoting organic fertilizers. The Domaine of Janasse is born in 1967 when Aimé Sabon, back from his military service, inherit the vines from his father. Located in the municipality of Carthezon, its vineyard extends over 70 hectares. The vine growing is traditionnal and reasoned. Located in Chateauneuf-du-Pape, the first known origins of Domaine de Pegau go back to 1670, although its name was not created until 1987. The estate sells its wines under two banners : Domaine de Pegau, which corresponds to 21 hectares of original vineyard ; and Chateau Pegau, which correspond to the purchase in 2012 of a 41 hectares vineyard, formerly the Domaine de la Jouve. Located in Chateauneuf-du-Pape, Chateau Rayas is a small domaine of ​​10 hectares owned by the Reynaud family since 1880. Its singular terroir and the omnipresence of grenache give this wine from southern Rhone valley a unique depth and smoothness. Founded in 1952, the Roger Sabon domaine is divided in two estates. 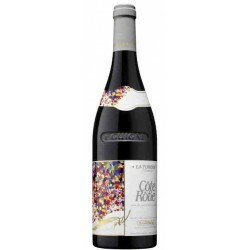 The first one, located mainly on Chateauneuf-du-Pape, representes about 17 hectares of vines. The second one, "La Chapelle of Maillac" is located on different appellations on the right bank of the Rhone river and extends over 28 hectares. Wine growing is of reasoned kind, no herbicides. Only organic fertilizers are used. Domaine du Vieux Telegraphe is located in the Plateau de la Crau, south-east of the appellation Chateauneuf-du-Pape. Its vineyard covers 70 hectares of which 65 are dedicated to red wines, five to white wines. Grenache is the emblematic grape of this estate where climatic conditions are harsh. Only 4 wines are produced, two wines and two second wines. Vine growing is minimaly interventionist to preserve all the natural flavors of the wine.